Recent changes in U.S. border policies require any U.S. citizen crossing into or returning from Canada or Mexico to have a valid passport. 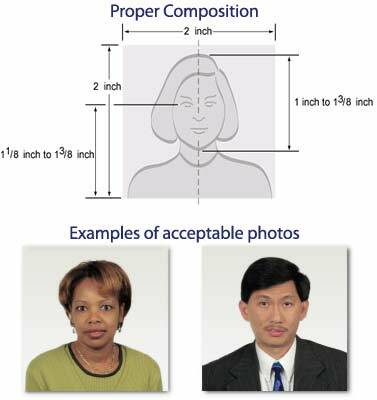 This makes it a perfect time to offer passport photos to your customers! Passport photo service is a quick and simple way to provide a simple value added service for any copy shop, printer or mailbox / shipping store. This equipment also works very well for creating company or school ID badges. CFS offers a complete line of passport cameras, films / papers, background screens, cutters and other accessories that allow you to offer complete passport photo services. Offering passport photography services is straightforward and very easy. First, you'll need a camera that can take the appropriate sized picture (see requirements below). You can choose from a film cartridge type (like a Polaroid process) or a digital camera and printer system. Next you'll need a white only background, no other colors are accepted. There are two ways to get the photo onto an acceptable material - the peel-apart (Polaroid type) film or a digital photo printer. Lastly, you need to cut 2 identical photos, each at a size of 2" by 2" squared. CFS also carries a full line of accessories to help you including: tripods, background screens and passport photo holders. 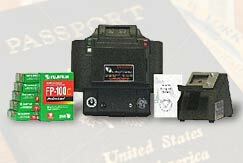 For a snapshot of the passport photo items that CFS carries, visit our Passport Photo Cameras & Supplies section. Two identical, full color photos. 2" x 2" inches in size. Taken in normal street attire. Uniforms should not be worn in photographs except religious attire that is worn daily. For detailed explanations see this Composition Checklist.